It’s hard to convince someone that cheesecake doesn’t have to be traditional. You know— the rich cream cheese-laden cake with sometimes decadent topping. I personally like my cheesecake unadorned to taste the full fat of the cheese. Sometimes a strawberry topping for some added color to a blank palette is a welcome addition. But when I had avocado cheesecake a few months ago, my mind was blown and I had to share the taste experience. But would they (ahem… Paul) like it? Luckily, the overwhelming answer was “yes” times two, despite the ungodly color of the batter— an avocado green that almost perfectly matches my baby bassinet in the ’70s. This recipe was created by Trey Foshee for the California Avocado Commission and it included a tomato-vanilla jam. 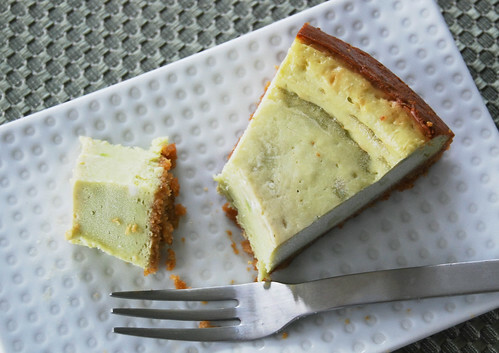 While they’re well-suited together, the avocado cheesecake is perfect on its own. Avocado season is in its peak this month so get going and try this simple recipe for cheesecake. In a large bowl, whip the cream cheese with a mixer until smooth. 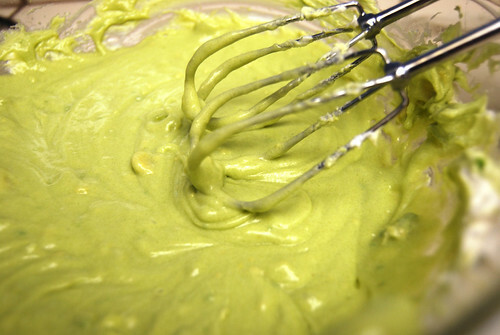 Add the avocado, sugar and vanilla and combine until smooth. Add eggs one at a time, incorporating well after each addition. Mix in the lemon zest and pour filling onto prepared crust, then smooth top with an offset spatula. Place on top of baking sheet and bake at for 45 minutes or until the cake is set. 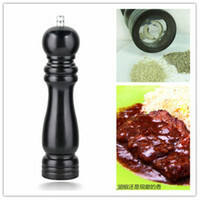 Cool to room temperature and refrigerate until ready to serve. HA! I know the avocado green crib you’re referring to! Gotta love the 70s. Avocado cheesecake sounds weird but those are two things I like but maybe not together. I don’t remember much about the ’70s but green was a prominent color. Trust me on the cheesecake– if you like the taste of avocado, this will be in your wheelhouse. The color of the cheesecake isn’t so scary. It looks far fainter than it in the raw form — THAT is really green. Yeah, the color definitely tones down a bit after it’s baked. But if you like key lime pie, the color isn’t too far off. Oh yum! Two of my favorites in one. Definitely going into the “save it to make it” file. Pingback: The City Sweet Tooth » Sweet Links of the Week – 8/19! You had me at “avocado”. YUM!! It was very yummy. Thanks for visiting! avocado+cheesecake? crazy…. i love these two things by themselves. never tried them combined. I never thought avocado would work with cream cheese. But you know what, I love both ingredients so I’m going to try this recipe! i’ve had avocado gelato before and it was yummy! Had a little sprinkle of cayenne/sugar on top. I’m sure this will be as good. I mean, cheesecake! How bad can it be?? Can’t wait to try it. I’m going to make this and top it with Chocolate Avocado Mousse. I’ll let you know how it turns out! I just made this! It’s pretty good but in the future I would maybe add an additional avocado. As is, the avocado flavor is a very subdued aftertaste — the lemon is more pronounced than the avocado. The ingredients list doesn’t mention vanilla but we are told in the instructions to add some, so I added about a tsp. How much vanilla should I add to this? I can’t wait to try it! Hi Elisa. It should be one teaspoon of vanilla. Sorry for not including the amount.